Join us for delicious food for a great cause. 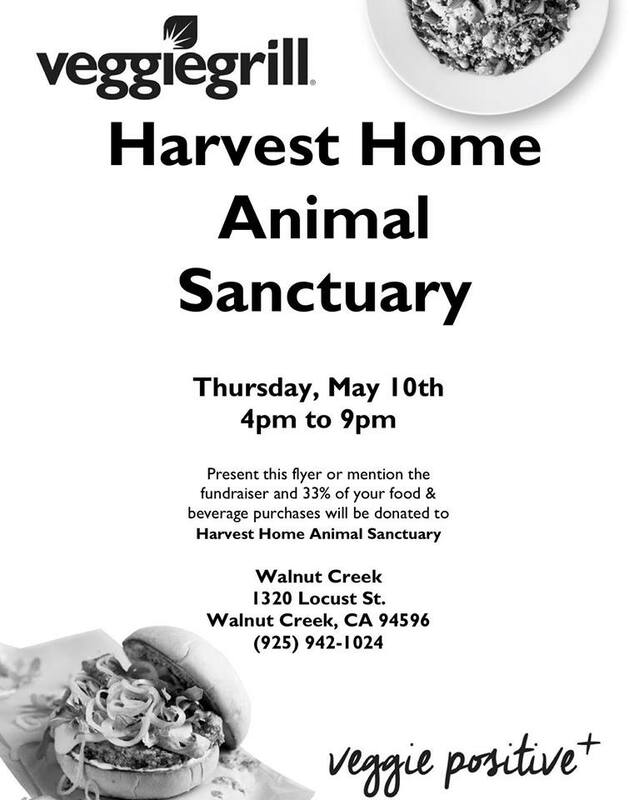 Veggie Grill will donate a portion of your food and beverage purchases to the sanctuary the evening of Thursday, May 10th in Walnut Creek. Show our flyer (print or mobile) at the register when you dine at Veggie Grill to support the animals of our sanctuary.